We will send you a confirmation e-mail to confirm that we have accepted your order which shows a copy of the order you have made. If you have made a mistake on the order, you need to tell us immediately. It is essential to provide us with your full contacts details, including a valid phone number. Customer service may need to speak to you to confirm the recipients' address, to modify the order or to confirm payment details. We will only contact you by phone in relation to the order you have recently placed. How do I check the status of my order, track my order? 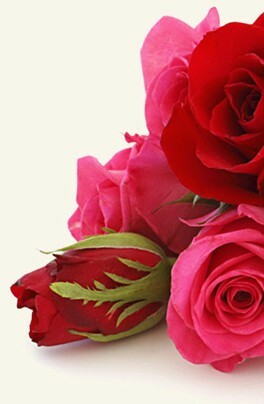 Login to my flowers4newzealand.com account to track the status of your order or visit our customer service page. How will I know when the flowers have arrived? We will send you a confirmation e-mail to confirm that the order has been delivered. You will receive this e-mail up to 24 hours after delivery. Please ensure that you have provided an accurate e-mail and that you have added orders@internetflorist.biz to your address book so that our e-mails do not arrive in the junk mail. How do I modify or cancel my order? 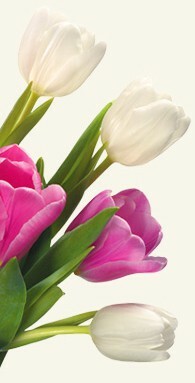 Login to my flowers4newzealand.com account to modify your order or visit our customer service page. All changes must be 24 hours before delivery. After that time, we cannot guarantee there will be enough time for the changes you request. We accept all major credit and debit cards (not American Express) as well as PayPal. With some cards you need to request online transactions with your bank. If you experience any problems when you try to place an order please contact our customer service team who will help you to make sure that the order is accepted. We charge your credit card when you place the order. We use a very secure payment platform that enables us to charge your card immediately. Is it safe to give my credit card detail on the internet? At Flowers for New Zealand we only use the very best in security for our online payments. We use PayPal for our online payments and as one of the largest payment processors in the world their security is top notch. Will my contact information be kept confidential? flowers4newzealand.com keeps customer information completely confidential. Our company does not share customers' personal information for third-party use or sell it to advertising agencies. In the event of a legal requirement, fraud, or law-enforcement request, your personal information may be shared upon request from the relevant authorities. Same Day deliveries will depend on which location/country if this is possible, due to world time differences. When entering the day and time the order system will advise if what you have selected is possible. Can I specify AM or PM deliveries? Yes you can. For AM deliveries please make sure you order at least the day before. Please note we cannot guarantee exact hour deliveries. When making the order you will be advised of the period of AM and PM delivery. Please note that same day orders, it is not always possible to deliver AM due to busy schedules, so the delivery may take place PM. Can I send flowers on Sunday and Public Holidays? This will depend on the location. When you make your order, the opening times will be advised. If the shop is closed a message will advise to choose another time or day. Are there any additional charges when sending flowers? The delivery costs are: Auckland Auckland City 10.00 USD, Christchurch Christchurch City 10.00 USD, Hamilton Hamilton City 10.00 USD, Tauranga Tauranga City 10.00 USD and Wellington Wellington City 10.00 USD. Do the flowers come with a vase? A vase is not included in the price unless specified in the product description. The vase may be different from the one shown in the example image. How do I contact flowers4newzealand.com customer service if there is a problem? Use my flowers4newzealand.com account to access your account and contact customer service. Alternatively, call our customer service department. What are the most common problems with orders? Incomplete recipient details. It is essential that you provide us with full and accurate details for the recipient. A local phone number of recipient is required to help us ensure that the flowers/gifts arrive on time. We cannot be held responsible for late delivery if this information is not provided or is incorrect. If there any changes to your order such as delivery date, delivery location, card message, etc., please email any changes to orders@internetflorist.biz referencing your order number and the changes you wish to make. It is best to keep them in a well-lit room away from direct sunlight. Make sure you change the water every two days and use flower food to help them to stay fresh longer. Are consumable products allergy free. Please note regarding consumable products, ingredients vary and are subject to change depending on the supplier. Internet Florist cannot be held responsible for any allergy or food intolerance etc. arising from the consumption of same. The images on our website are system images and for reference only and the delivered flowers may look different. Whilst every effort is made to match as closely as possible, sometimes colour shades can be different to the website image. Depending on availability on the day if an exact colour is not available, we reserve the right to replace with an alternative colour and if a particular flower is not available, a suitable alternative will be made to the same value or greater, to try and match as closely as possible the original request. Certain flower and plant products may be delivered in bud to ensure longer life. Packaging, boxes or vases etc may change depending on availability on the day. Will Extra Gifts (Add Ons) be same as described. If Teddy Bear, Vase or Balloons etc are also ordered , they will be delivered with the flowers. We reserve the right to supply the item with a change of colour/wording from image, depending on availability on the day. This does not apply to wines, which will always be as ordered, red , white, champagne etc. only the brand name may change if necessary. With regards to consumables, an unavailable item will be replaced by a similar alternative. In most cases Extra Gifts/Cakes/Chocolates have to be accompanied by Flowers. A message will advise No Product Selected if this is the case and you will need to add Flowers to your order. Flowers for New Zealand uses the most modern technologies to secure your order.